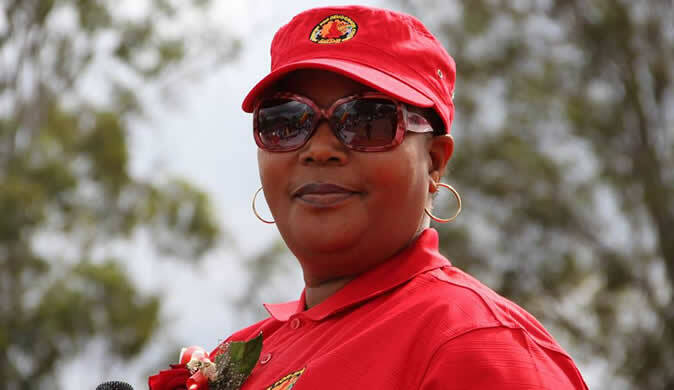 The Thokozani Khupe-led MDC-T says it will only abandon dialogue with President Emmerson Mnangagwa if the Zanu-PF leader proves insincere. MDC-T has been attending the national dialogue meetings called by Mnangagwa and boycotted by opposition MDC leader Nelson Chamisa and others, including former Vice-President Joice Mujuru. Chamisa's party has put forward conditions to the talks, which include a neutral chair and a discussion on Mnangagwa's legitimacy, a suggestion that has been shot down by Zanu-PF. MDC-T has been castigated for attending the talks, but party chairperson Abednico Bhebhe said they would continue engaging with government and would quit once convinced the President was insincere. "There are some people that are saying we must pull out of the talks, but the whole idea is to find solutions to all the problems we face . . . We will only withdraw from the talks after we see that he (President) is not sincere; as for now, we can't measure sincerity by withdrawing," Bhebhe said. Churches have also been in the forefront, offering to broker national dialogue amid reports that some regional and international groupings such as the South African-based organisation, In Transformation Initiative, which supports transitional processes in Africa, have also pledged technical support. Organisations such as Zimbabwe Dialogues (ZD), a merger of the Peace Initiatives in Africa and the South Africa-based Zimbabwe Institute, have also been working with parliamentarians so that they position themselves in the national dialogue processes. Reports also indicate that organisations such as the Institute for Integrated Transitions (IFIT), operating from Barcelona and Spain, have been coming in and out of Harare to explore possibilities of offering technical support to the proposed national dialogue.